I hope this email finds you all well and starting off 2008 on a great note. As most of you know, my first feature film “The Air I Breathe” will be hitting theaters soon and I just wanted to give you all a warm shout and ask you to please come out and support the cause — and of course, to help spread the word!! 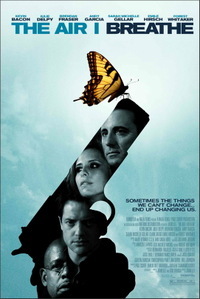 The film is a low budget indie — but we were able to wrangle a pretty talented cast that includes Forest Whitaker, Brendan Fraser, Andy Garcia, Sarah Michelle Gellar, Emile Hirsch, Kevin Bacon, Julie Delpy, Kelly Hu, John Cho and Clark Gregg. I get very nervous and uncomfortable by attention directed at me. (Yes this is weird considering I blog but I never said I wasn’t nuts.) So my first post here is an attempt at deflection. Congratulations, Kimchi Mamas! We're in the current issue of KoreAm Journal (along with fellow blogger MetroDad)! Update: The piece will air Thursday night at 6:30PM and 11:00PM on KQED radio 88.5 in San Francisco. Check their website for broadcast times in your area. The program will be archived and available for podcast as well. A couple of days ago I was contacted by a producer of Pacific Time, a public radio program about Asian affairs produced by KQED in San Francisco. She wanted to know my thoughts on Yul Kwon winning Survivor and if I would be willing to record something for the show. She had read my recent post about James Kim surviving because he was Korean and wondered how that point-of-view would apply to Yul. I went down to the local public broadcasting station here in Honolulu where I'm spending the next three weeks. They put me in front of a mic in a sound-proof room and by the magic of radio technology I was connected with Pacific Time producers in San Francisco. 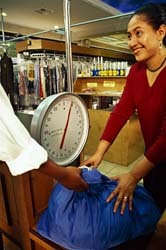 I read my piece a couple of times and even got to say, "For Pacific Time, this is Stefania Pomponi Butler in Honolulu." That was fun. I'm not sure if they will use it, but if they do, you can listen to a podcast by checking out Pacific Time's site. 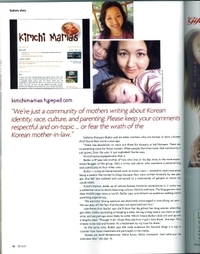 Kimchi Mamas: Read all about it! Since we unofficially launched Kimchi Mamas a week ago, we've received some very kind attention (and about 1500 hits at the time of this writing!) from around the blogosphere. Karen Walrond (who knows from collaborative blogs) talked us up on Blogging Baby. 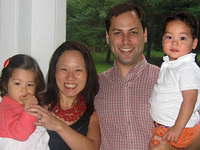 Mary Tsao, who blogs Mom Writes and for BlogHer, wrote us up on the eve of our launch. Daddy in a Strangeland gave us a nice shout-out on the excellent Rice Daddies site. And, really, what goes better with kimchi than rice?